Happy Thanksgiving, folks! 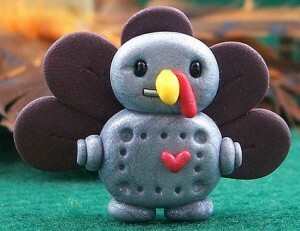 May your holiday be as adorable as this turkey. Did your city put in a bid for Amazon’s HQ2? Muckrock is FOIA-ing as many of these bids as they can find—and looking for local activists to fill in details. Upset about the delay in changes to the overtime eligibility rule? The EPI has put out recommendations on what states can do to help workers who deserve overtime. There was a lot of good news for progressives this election day—but you may have missed this one. Voters in Fort Collins, CO approved building a municipal-owned broadband network. Gizmodo takes an in-depth look at Amazon Flex—the last-mile courier app they’re using to compete with UPS and FedEx, with predictable gig economy conditions. VisualCapitalist uses public data to show all the states where Walmart is the largest private employer, in their chart of the week. Sure, the country is polarized, politically—but at least Americans agree that they hate corporations. Cornell’s Worker Institute is hosting a two-day conference in New York next April, to talk about policy & organizing precarious workers. You will never go wrong spending an hour on one of Mobilisation Lab’s webinars—their next is 11/28 at noon eastern, on “Building More Effective Campaign Narratives Through Social Science”. Previous Previous post: The 28-hour workweek? I’m there.